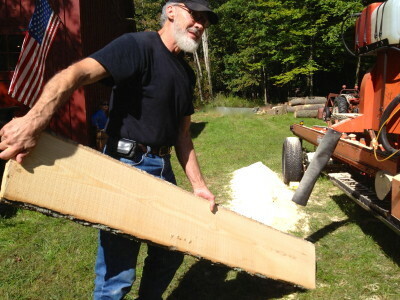 What a beautiful log to create a Windsor Chair! 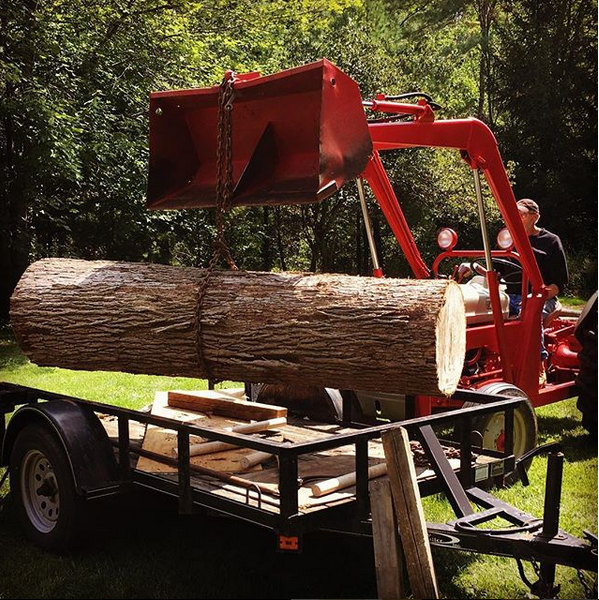 – A special thank you to my dear friends for the beautiful log. This is from my Instagram account from a post last summer. Click through to see some of my other creations. Watch the Magic Happen at the Woodworking Shop! Watch this stop motion woodworking workshop video. The magic unfolds at the woodworking shop of Richard Grell. 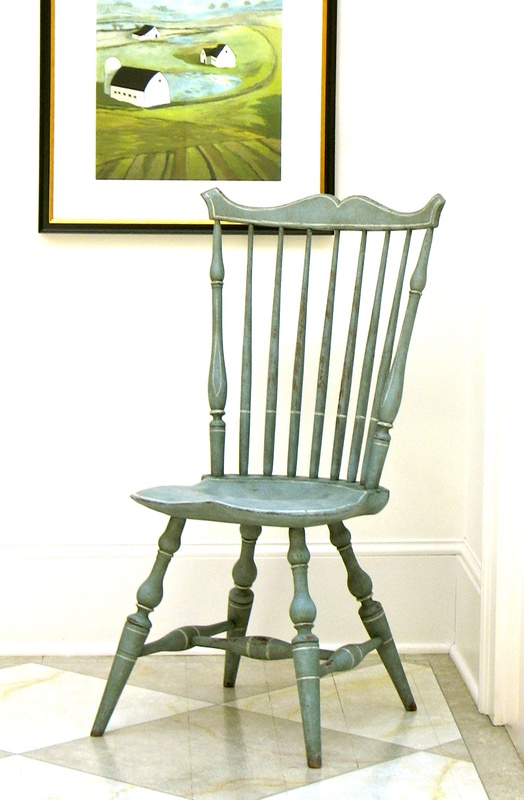 Click to play this stop motion film of Richard Grell’s Windsor Chair on Instagram. If you are on Instagram, please follow so you can see more. If you have an Instagram account and would like to follow us, you can find us at Richard Grell Windsors. Or if you prefer Facebook, look for us at RGrell Designs. 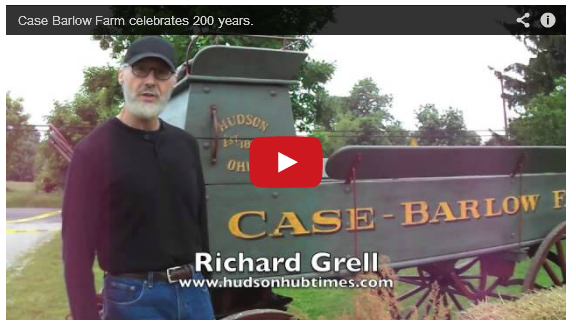 The farm wagon that I painted was donated to the Case-Barlow Farm by John and Joann Grace. Doing the aged paint finish and restoration on the wagon was a great project! It was in the Memorial Day parade and was also on display at the farm during their 200th anniversary celebration on June 8. As a follow up to my last post on sawing logs, I’d like to share with you the next best thing to being there in person – a first hand video of one of the most important factors in building a durable Windsor chair. Watch as we saw a tree that I picked out locally. 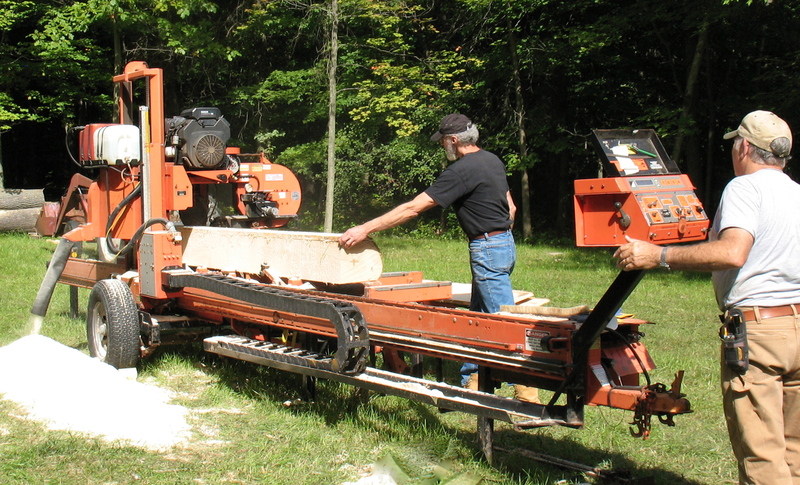 Using this high-tech saw, we’ll create perfectly straight grained boards. Perfectly straight grained boards mean perfect Windsor chairs. Enjoy! Today was a perfect day for sawing logs. Some events you have to be there in person to fully appreciate. This is one of them and is a favorite. Knowing that this process and proper skills will result with the perfect straight grained boards necessary for creating Windsor chairs for my clients and students in my classes. Straight-grained. 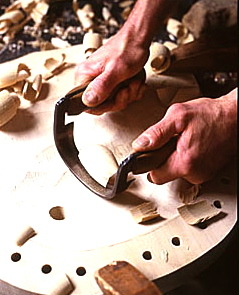 This is one of the most important factors in building a durable Windsor chair. In my class you will learn why. It has long been my dream to pass along some of the woodworking knowledge I’ve gained over the past 40 years. As a master craftsman, I feel it’s important to share traditional woodworking techniques so they are not lost over time. These classes are a one-of-a-kind experience for hobbyists as well as skilled woodworkers. Participants will have a product to take home, but my classes have been developed around the process. 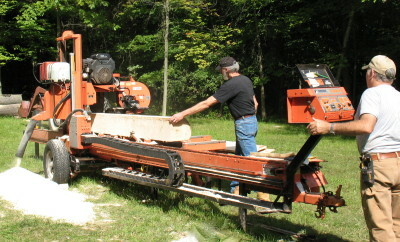 It’s the process that keeps the woodworkers traditional skills alive. Like smelling the wood when it’s first cut, the feel of the wood in your hands when you bend a steamed piece of oak or the sound of a sharp hand tool carving out the wood. To read the new press release about my woodworking classes, please click here. 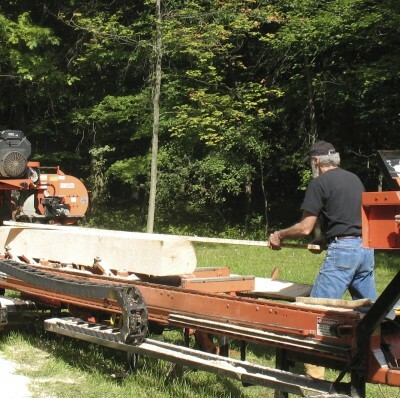 Much has been written and said over the years about how influential my grandfather was in shaping my passion for woodworking but not much has been said about him. Grandpa Grell was the quintessential twinkly- eyed gentleman. He owned a business as a builder/contractor and stonemason; driven and hard working with Superman’s strength and not much tolerance for laziness or wasting time. When it came to learning, it was, “learn it right the first time”. 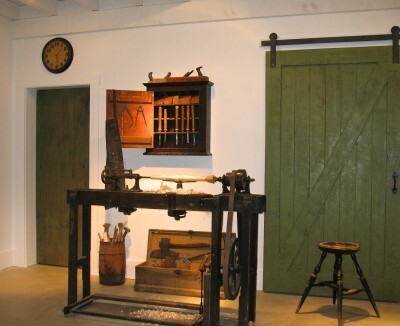 I’m sure that is why he taught me how to use and care for real antique hand tools beginning at age five… “Learn it right the first time”, he was a master craftsman and teacher. Grandpa Grell built a small English cottage style home with manicured gardens for my grandmother. He built a two-story brick workshop behind their home for himself. I have to laugh, it was slightly larger than their house. Knowing my grandmother, I’m sure she made a few comments about that. The stone path to his workshop wound through the gardens with a stone bridge over a small pond, home to their fish and resident turtle, Jerry. His shop was a magical place for me to go and envelope myself in an environment of inspiration and creativity. Full of light and positive energy. I never wanted to leave. 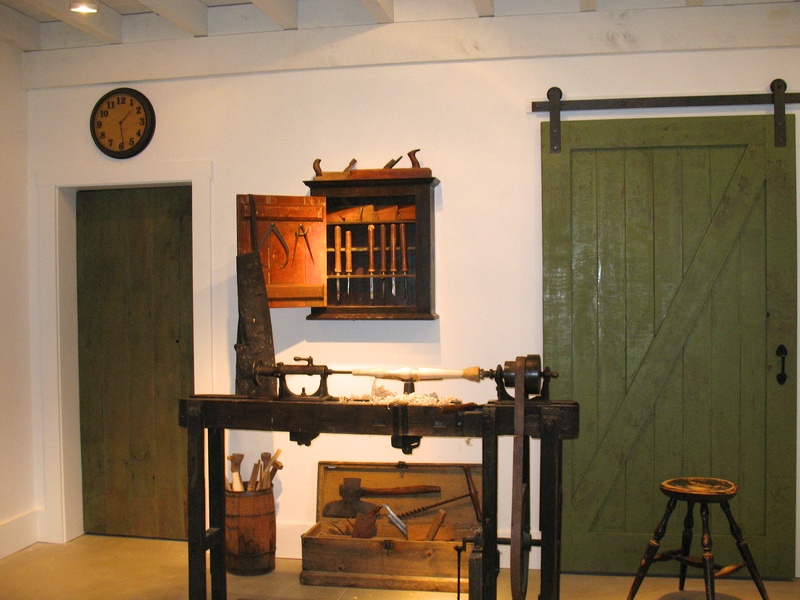 Those experiences are as vivid today as they were sixty years ago, motivating me to continue his legacy by creating an inspirational environment for learning and creativity… using the same antique woodworking hand tools that he entrusted to me, the tools I have been using for forty-one years in making my living as a craftsman, Windsor chairmaker, and teacher. I often wonder what he would think about the legacy of his antique hand tools that he gave to me and how much he shaped my life. This French blue painted finish is not a typical Windsor chair color. Predominately Windsors were painted black or green. Although, this French blue color has been documented on period Windsors, as just about any color has been found on period chairs. Beauty is in the eye of the beholder… as is the choice of color and finish. My Windsor chair’s seat surface shows tool marks… the rain gutter is hand-carved with a chisel and mallet. The peg of the leg is prominent. 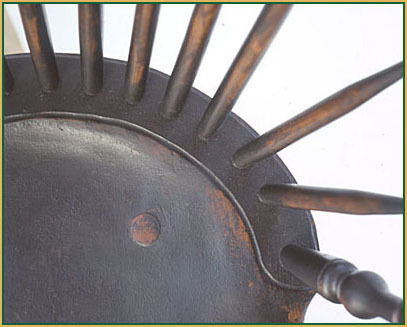 This is an intentional effect as similar 18th century chairs would appear today. The reason I do this is to make the chairs compatible with other period pieces and have the character to fit in with your collection of antiques. It would be easier just to sand it smooth, but then it wouldn’t have the character to fit in with your period pieces.